Hi! I’m currently a student attending UC Santa Cruz, but I’m back in Alameda for the Summer Sun! 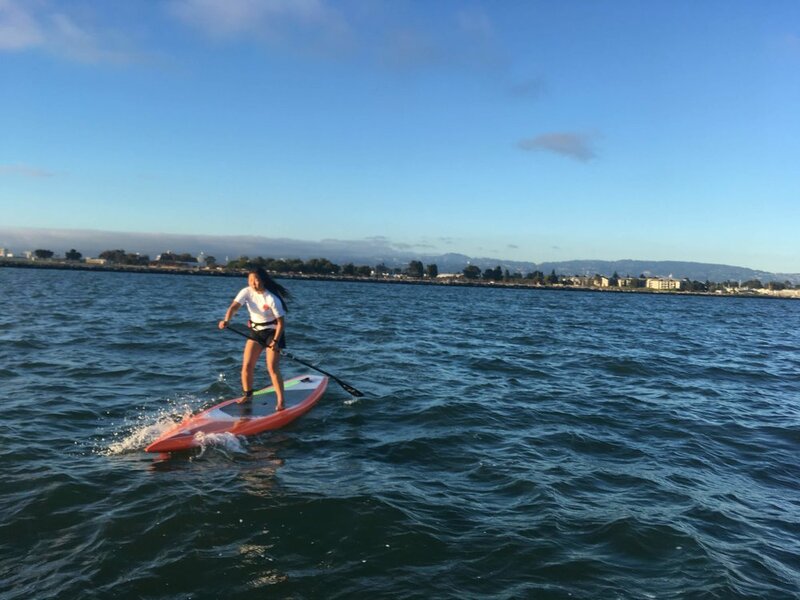 This will be my 3rd summer at Mike’s Paddle, and I’m so excited to be padding in the Bay again, there’s nothing that beats the multitudes of weather patterns you can get here! I may be young, but I am confident in my ability to paddle and to instruct. Fun Fact! I’ve spent so much time in the water that I’ve been called “a fish” by some of my water polo and swimming teammates. My favorite all around board would be the Sidewinder by Jimmy Lewis, though I must say I’m head over heels for Blackfish by Infinity. See you out on the water!